Superman's most recent adventures have left him exhausted and in a reflective mood. 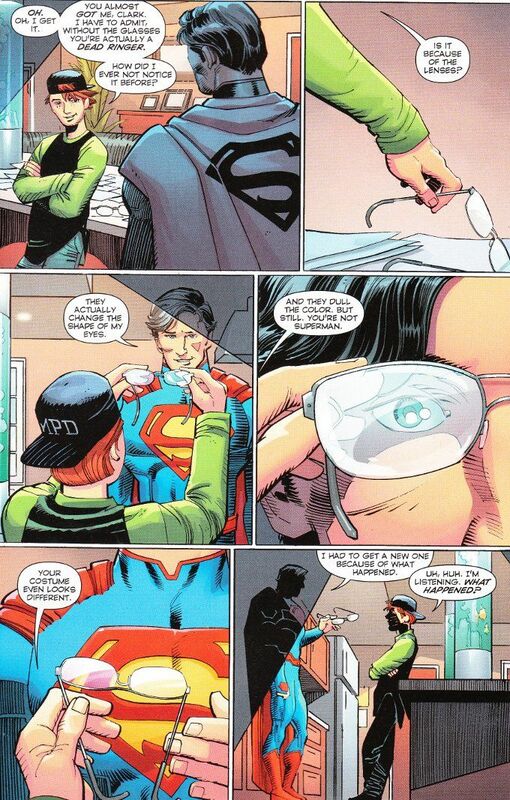 So Clark Kent has decided to share his secret identity with his best friend, Jimmy Olsen. But Jimmy doesn't quite believe him and Clark's in no position to show off his powers! A day together may teach both young men a lesson - about what truly makes a man Super and how it feels to be ordinary. Aspiring creators take note. 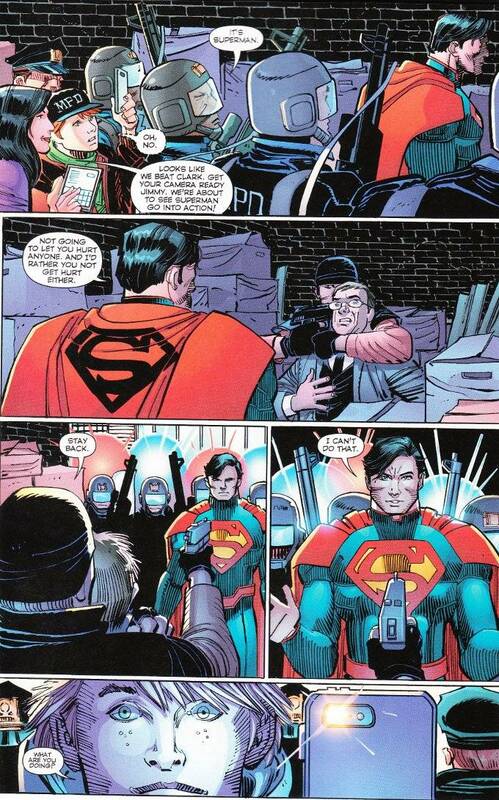 You don't have to introduce cosmic threats beyond imagining for Superman to punch. You don't have to spend hundreds of millions of dollars on special effects to bring Superman to life. Just read this story and learn the same lesson Jimmy Olsen does about who Superman truly is and how it has nothing to do with power and everything to do about giving of yourself to help others. It's a lesson that Geoff Johns knows well and more comic writers need to understand. The artwork for this issue is the equal of the story. John Romita Jr. and Klaus Janson turn in some of their finest work ever. And the colors by Hi-Fi lend the whole affair a unique vibrancy that leaves the artwork just jumping off the page. This is one of the best Superman comics I've ever read, bar none.